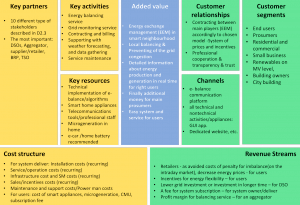 During the e-balance project we were working on a business model proposal for energy flexibility exchanging by balancing service, which is one of the services provided by e-balance platform. Important assumption for introducing our system into the market: the flexibility market should exist in a country where e-balance will be rolled out. It means that the market should create the needed environment for such service provided by prosumers from household level to the grid. 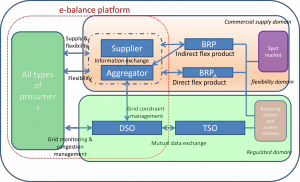 The e-balance platform is well defined and prepared for cooperation between prosumers, aggregators, suppliers and DSO. Full lean business canvas analysis (BCA) with business cases and simulation results are prepared and described in detail in D2.6. 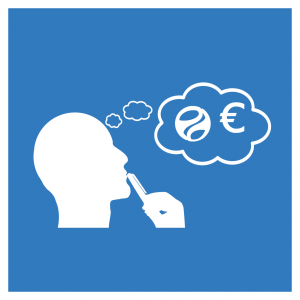 New market actor – the aggregator is defined as a party who unlocks and maximises the value of demand side flexibility obtained from prosumers. Aggregators bundle numerous small flexibility resources into a useful flexibility volume. Under the cooperation of BRP and appropriate suppliers they provide flex product to the market and provide such services. They need to endorse a relevant contract with all main players. Depending on the aggregator’s integration model (see BCA in D2.6) the prosumers have an appropriate contract with the supplier/aggregator for flexibility products delivery. Direct Energy Flexibility (DEF) – a flex product dedicated to balancing market and for auxiliary services. Requests for aggregation can be initiated due to the lack of balance and appropriate bids are resulting from the balancing and reserves market. Indirect Energy Flexibility (IEF) – a flex product dedicated to optimise portfolio of a retailer/supplier/BRP that provides a precise schedule of energy transactions by them on the daily-ahead or intra-day market (DAM/IDM) or for DSO’s purposes as efficient management of the grid operations’ flexibility. 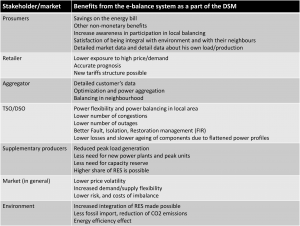 Prosumers can have economic benefits (see D2.6 the appendix 1) when they agree with the system’s requests to adjust the use of energy (e.g. shifting time of use or applying limitation/savings). Such adjustment can be provided every 15 minutes or faster. It depends on aggregator’s reactivity for the market signals. Depending on this, aggregators enable the aggregation service and can access to different sources of benefits for themselves and for the supplier. The e-balance system owner/deliver sets up the business condition how to start as the user of the system. A dynamic price/incentive for the dependent flex product provided by the aggregation service. It means the price is dependent on the flexibility volume provided during every day. A flat price/incentive for independent flex product provided by the aggregation service. It means the price is clearing during the bids on the demand supply at the flexibility market. The contract between the prosumers and the aggregator (business to customer -B2C- subscription) has to give clear rules about how this system works and how much money users can earn depending on his/her behaviour in electricity use. The aggregator receives a commission for the energy exchanging management and balancing service. The DSO has benefits (business to business -B2B- commission) mainly from the second service: the grid monitoring and resilience. There are as follows: fault location, location of the service interruption, better quality of energy service providing. 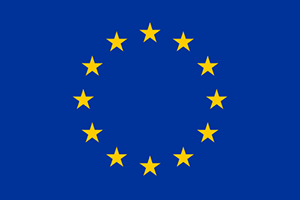 Suppliers/retailers can increase his current business by cooperation with the aggregators (B2B, commission). They are responsible for purchasing energy on the market and supplying it to the users according to the result generated by the balancing and optimisation mechanisms. They receive rewards for portfolio optimisation from spot and intraday markets. Other stakeholders like the manufacturers of intelligent energy devices or ICT, data providers have a possibility to develop their own businesses as the demand of the new dedicated for e-balance tools/services increases. What is our achievement in the matter of business model? Mathematical model for pricing method, and calculation for theoretical data. Results analysis and sensitivity analysis. Results published in D2.6, in an appendix 1.